This year’s edition of the Robotic Tournament has attracted even more competitors and robots than ever before. 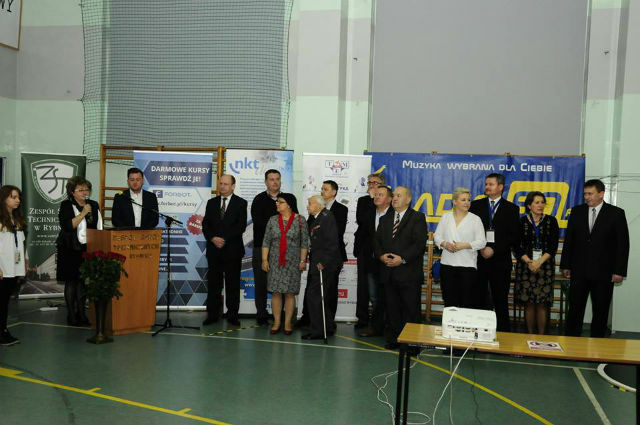 The competition has been organised annually since 2009 by the Technical School Complex (Zespół Szkół Technicznych — ZST) in Rybnik, and this year’s edition gathered 228 participants both from Poland and abroad. 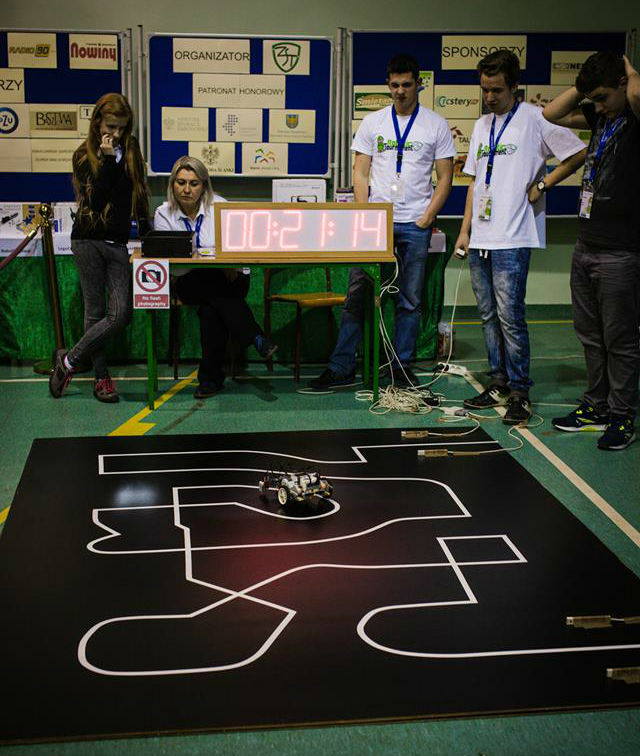 243 robots were presented, and the participants competed in ten categories. Competitors represented Czech Republic, Slovakia, Germany, China, Sweden, and Poland. The majority of competitions required presenting self-made robots that could be freely modified and reprogrammed in designated service areas. 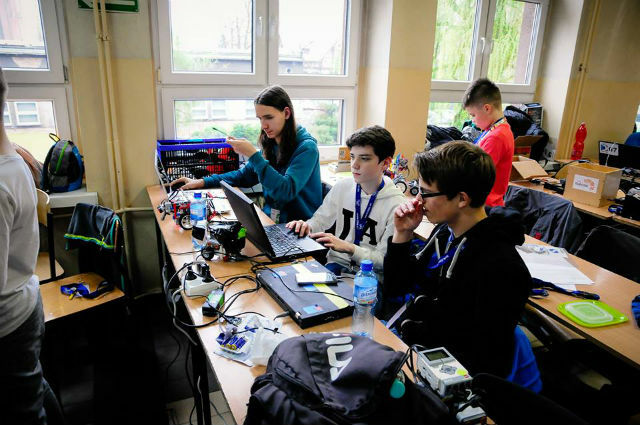 Even the youngest constructors from the Youth Academy of Technology (Akademia Techniczna Małolata) from Rybnik took part in the tournament, and achieved considerable success in the RoboDragRace for LEGO contest. 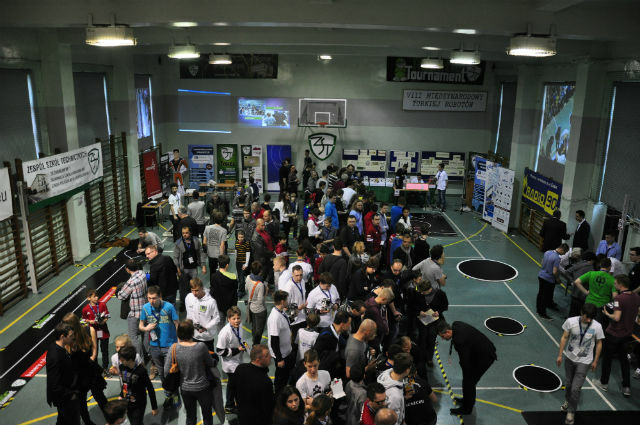 On 9 April, 2016, the headquarters of ZST were visited by a large number of spectators, both hobbyists and entire families, interested in the robotic tournament. 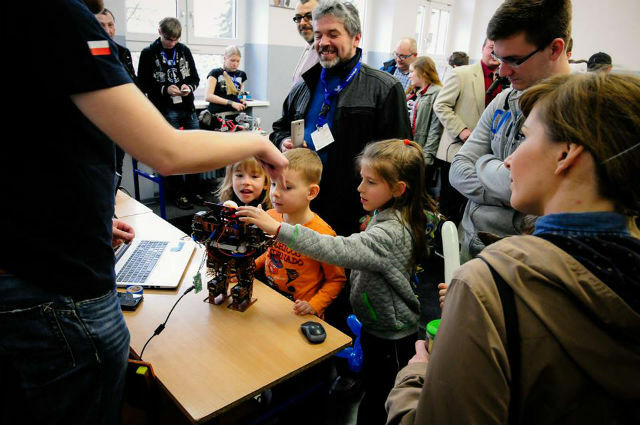 The tournament builds bridges not only between mechatronics hobbyists, but also generations, as it’s a great attraction for families and one way of spending a Saturday afternoon. Everybody could find something interesting for themselves, whether that be the elimination contests or the Freestyle shows and other events for the youngest visitors — says Mrs. Grażyna Kohut, Head of ZST. The goal of the tournament is to draw young people’s attention to robotics and modern technologies, as well as to encourage them to design, build, and program their own autonomous robots.